Very Hard to find 2SS/RS Imperial Blue Metallic with 6 speed manual. LOADED up with options including RS Pkg, Leather, Premium Boston Acoustics audio system w/9 Speakers, Hurst Short Throw Shifter, Custom Borla Exhaust(Sounds Amazing!! ), Power Heated Seats, Navigation by Telematics, Almost NEW tires, and much, much more!! Clean Auto Check, NO accidents and no previous paint work!! 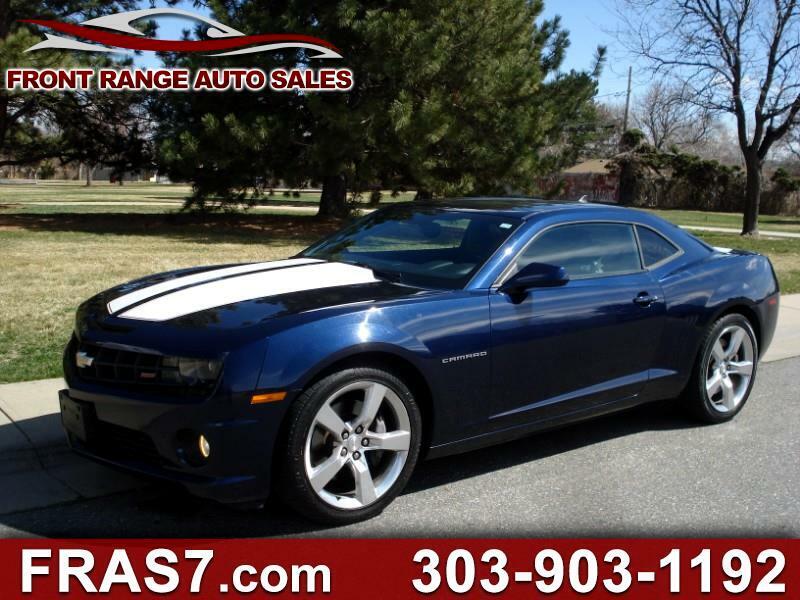 Visit Front Range Auto Sales online at www.fras7.com to see more pictures of this vehicle or call us at 303-903-1192 today to schedule your test drive. All prices plus dealer handling. NO other hidden fees or charges like so many other dealers!!! Message: Thought you might be interested in this 2010 Chevrolet Camaro.